Detail of the moon-goddess Selene from a painting depicting the judgement of Paris. 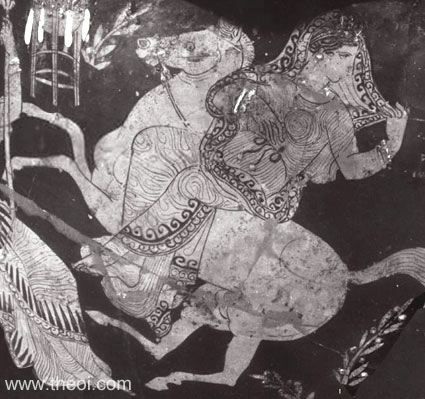 The goddess rides side-saddle on the back of a horse. Her raised veil forms the shape of the crescent of the moon.